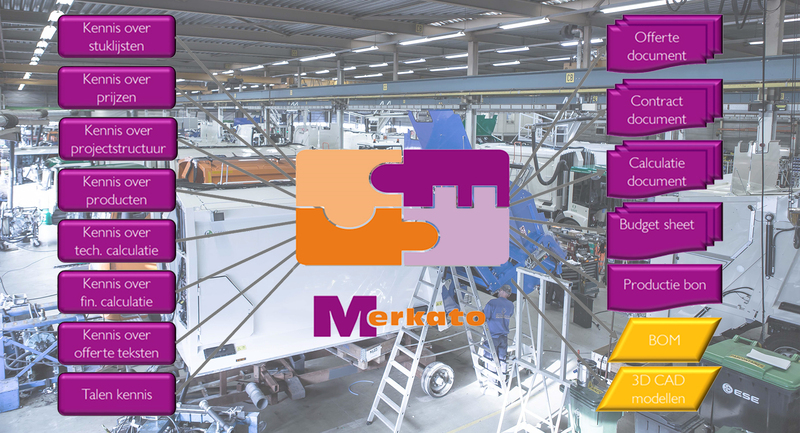 Merkato is a complete system to capture business rules and to generate and distribute quotes and other product-related documents such as production information. The system is usually deployed web-based. Even the management modules do not depend on client/desktop software. This offers unprecedented flexibility. We help you sell your products 24/7, anywere in the world, in any language. That’s our promise! Merkato is very userfriendly and surprisingly easy to use. The software is packed with smart, user-oriented, features and functions. The userinterface is tight and adaptive. The user only sees what he needs to see at a certain fase of the configuration proces. Due to this and many other modern options, implementation times are record-breaking short. Making changes in rules or layout is no problem at all. Using drag&drop, Cut&paste and many other smart functions, such as direct copy&pasting from Excel, changes and improvements are just plain fun to implement. Merkato is available in only one version. The last. Improvements that are put forward by the user group or by a specific customer , become available to all users immediately. This means every client always has the latest and best possible version. Configure: Customer and vendor determine the customers wishes, the system immediately gives feedback about possibilities and can even give advice. Price: Based on the answers received from the customer, all technical and financial consequences are calculated automatically. Merkato showes what is possible (and what is not) based on your customers needs it can even advise and recommend. When configured the perfect product for this specific customer, Merkato will make the technical and financial calculation. To sell your customized product often a multitude of documents has to be generated. Merkato will provide you with a quote, whether or not supplemented by a specification sheet. If needed Merkato can provide additional, customer specific documents like: order confirmation, payment terms, parts lists, delivery instructions or spare parts list. The simple and quiet user-interface of Merkato is very interactive. The structure of the screen depends on various factors such as user credentials, country, language and already made choices. 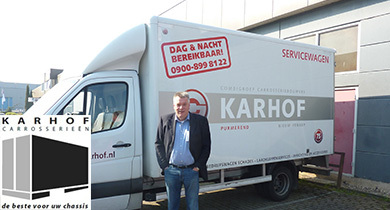 We do everything to ensure that the seller has the optimal interface that shows exactly what he needs at that moment. For sellers but also for managers. If desired, the user interface can be enriched with clarifying pictures, graphs or drawings, but the default interface is already neat and pragmatic. 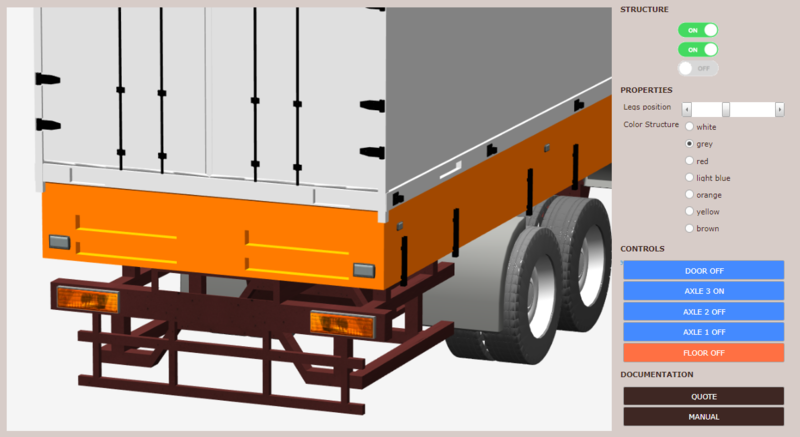 To provide your salesman or buyer with additional information during configuration you can use pictures, static or dynamically generated, in 2D or 3D. If this is of added value, this can even be done during configurating (realtime). These visuals are interactive. This means that you can influence the configuration process by means of mouse actions in and on the visualisations. Consering ​​the user interface, Merkato offers indefinite possibilities and there are actual restrictions. 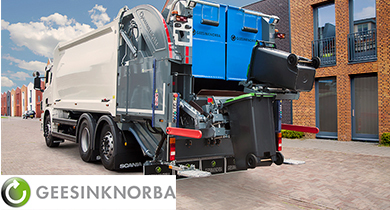 Through a system based on groups, roles and rights, the configurator can be arranged to your liking. All elements are thus controlable, which creates a very dynamic tool which adapts to the user completely. This gives you complete control over the possibilities for different (groups of) vendors, or dealers / agents. 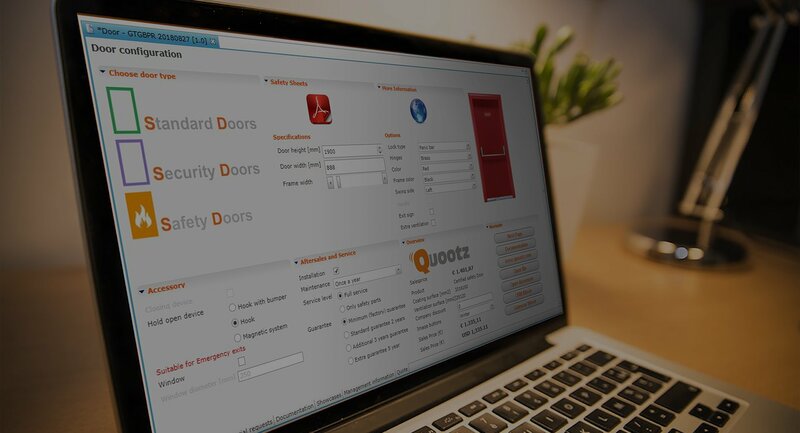 But even the location of the person who logs in can affect the behavior of the configurator. 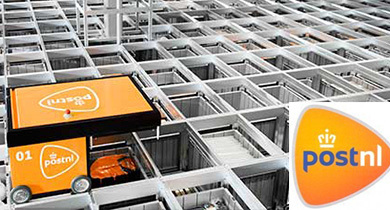 Merkato provides the option to use more than one system for authorizations/workflows. It is possible that not everyone is authorized to answer a certain question, or that an option can not be sold by all agents. Examples might be a manager that has to give its agreement on an offer, or a price for custom work that needs to be estimated by an engineering manager. As an entrepreneur you obviously want to have a thorough understanding of everything that is happening within the system. Who made the offers, what was the average value, which option is selected most often in a certain region, etc. Merkato provides managers with valuable information. A quotation may consist of multiple products, which in conjunction form a system. Global information only needs to be completed into the system once, and all subsystems will automatically adjust. 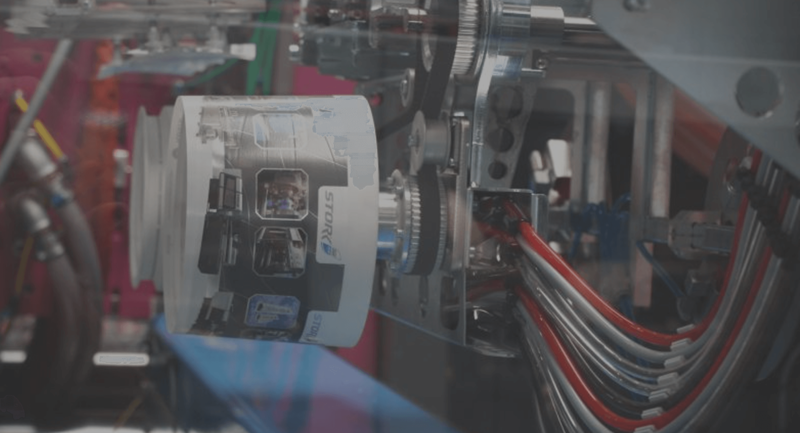 Setting up a project structure or a machine line can be done automatically, based on business rules. Merkato is very easy to use. The software is full of smart, user-focused features and functions. Building models is done in an intuitive way and requires no programming knowledge. The implementation times are surprisingly short. During the implementation we are at your side with advice and assistance. Of course there is a comprehensive manual available, which is kept up-to-date by the users. In addition, there is telephone support, a helpdesk by mail and a ticket system for improvements and customer wishes. Versions and statuses are available for templates as well as for configurations, so you can always go back to your former quotations exactly as you have released them in the past. Furthermore, it is easy to build, test and maintain templates while your sales people continue working. What has been offered when? Merkato makes searching, finding and editing configurations simple . 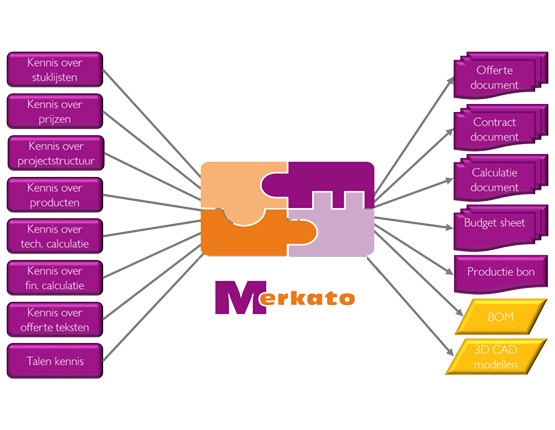 For the management of configurations, but also contracts Merkato offers a system based on roles, versions and statuses. Merkato is modular. Additional functionality can be added if necessary. 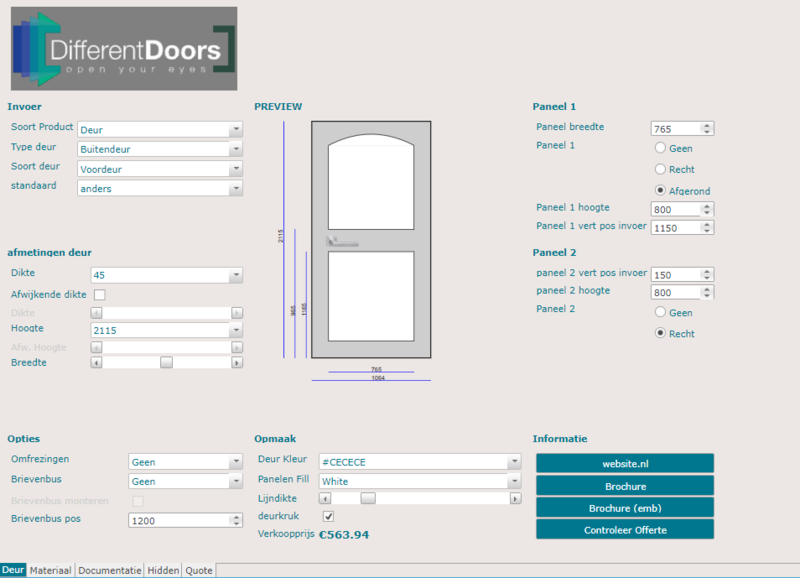 Supportive information such as data sheets, drawings, references or examples can be integrated into the sales configurator. This information can then be made available to the users through intelligent, interactive buttons. And all this information is also managed centrally. Everything needed for this specific sale is available with a push of the button. Merkato is nearly always deployed web-based. Working web-based means you don’t need to install any software at users or agents/suppliers and synchronizing will be a thing of the past. Online usage allows anyone access to the latest information, anywhere and anytime. The world never sleeps and borders are a thing of the past. Especially for complex projects, where several parties cooperate on one offer, or when the workflow requires input from several people/departments you can simply not afford to wait for e-mails or synchronizations. For online usage, we work with ‘floating licenses’, which drastically reduces your investments. No wifi? No problem! 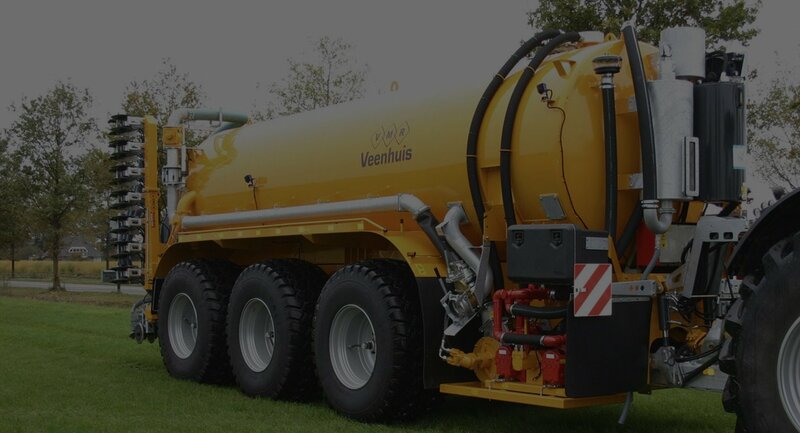 Ask about our unique capabilities to continue working even in the most remote areas. If necessary, Merkato can simply be installed on your laptop or pc. You do however need to purchase a license for every computer. Because of Merkato’s open architecture, which merely uses the most common and globally accepted standards, connecting with Merkato is generally very simple. Consider for example CRM, ERP, CAD and PDM as the most common connections in a business process. Click this link to see an connection overview. You can use Merkato in as many languages as you want. The majority of information will be translated automatically, so that it only takes a few minutes to make a foreign language available to a new co-worker. Commercial texts and option descriptions can not be translated automatically. For this, Merkato offers the possibility of “translator access”. You simply give your translation agency access to the management environment of the texts. Merkato is easy to learn. No programming knowledge is needed to set up the system. A multitude of useful tools makes building and maintaining the system easy. Think of tables that fill themselves, automatic links to products, Copy & Paste from Excel and much more user-oriented wizards. Our businessmodel is not selling as many consultancy days as possible or creating dependency. We help you to build your own knowledge in the system yourself. Through our years of experience we know what you are up against and we come up with solutions quickly and efficiently.